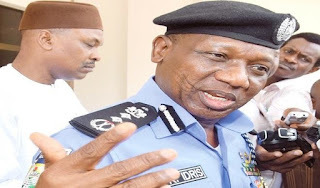 Mr Fatai Owoseni,the Commissioner of Police in the state, disclosed this on Monday in Makurdi while addressing newsmen. .
”The inspector-general is seriously committed to bringing to an end the killings in the state and the country. “It is that commitment that informed the reinforcement of our command continuously on daily basis to nip in the bud the act of criminality and killings in the state. “The inspector-general has continued to support us, as of today 15 units squadrons from 15 states have been deployed to support the existing officers on ground. “We also received the deployment of Police Special Forces, Intelligence and Technical teams in the state,” Owoseni said. He said the command had rescued a Non- Commissioned Officer (NCO) who got missing during the February attack in Yogbo community in Guma Local Government Area in the battle between police and suspected herdsmen. He said that the rescued “officer was unhurt, his weapon was safe, he was in high spirit and has rejoined his colleagues in the ongoing operations in Guma”. The commissioner said that security operatives were able to flush out the mercenaries from the community and hoped to sustain the success recorded. He stressed that relative peace had been restored in Yogbo village.